Following to the Fascist regime collapse, on July 25, 1943 Benito Mussolini was imprisoned in different sites, without that the German would try to find him, until to his move in Campo Imperatore, on the Gran Sasso. Hitler appointed the SS Austrian captain Otto Skorzeny, 35, to commander of the Lehrbataillon Harald-Otto Mors and to the Gen. Kurt Student, creator of the troops of German paratroops, to organiz the Mussolini escape, considered main ally by "Fuhrer". The nickname of the operation was "Fall Eiche" ("Quercia"). The operation was assigned both to the paratroops and to the SS, and this will bring conflicts between the two Corps. The captain Skorzeny reached Frascati (near Rome) where there was the Marshal Albert Kesselring, captain of the German armed forces in Italy, who didn't know about the operation. Rumours reported that the dictator was in Ponza or in Sardinia. Skorzeny went to Sardinia (Maddalena) and with the help of a Heinkel HE-111 filmed the zone where Mussolini found, but a failure forced the pilot a landing on the water. The German saved the camera; the people of the shipwreck were safe by the Italian ship, but after a short interrogatory were released. Shortly after Herbert Kappler head of the German Police in Rome, found out about the strong security measures adopted at the "Roma Hotel" in Campo Imperatore on the Gran Sasso. Then verified the presence of Mussolini, the "Quercia" operation began at 3 on September 12. While motorized means on the road to Campo Imperatore to take the Italians by surprise 10 DFS-230 glider airplanes were used of the 2 Fallschimjager-Division. 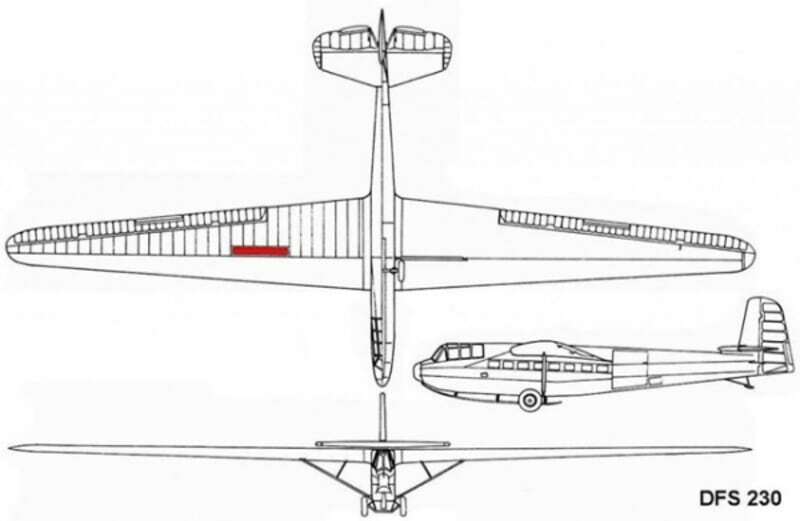 The gliders were the only aircraft able to land in a so restricted space, as that available in Campo Imperatore. The Italian soldiers were surprised and not having a clear orders, gave up immediately and so the German captured Mussolini without to open fire. Skorzeny embarked together with Mussolini on a small Fieseler FI-156 Storch airplane, a short take off and landing aircraft, landed on Campo Imperatore to bring the dictator away and he took the merit of the operation. Skorzeny in fact followed always Mussolini and insisted on embarking together with him on Storch, that overburdened from the German Captain (he was 2 meter tall) had difficulty to take off. Mussolini brought to Pratica di Mare was embarked on a Heinkel HE-111 that brought him before to Vienna and then to Munich. After meeting with Hitler on September 17, Mussolini declared constitution of the new fascist State (the Italian social Republic) to Radio Monaco.